Home Page News Filter New Hayward Heater, Filter and Valve. New Hayward Heater, Filter and Valve. 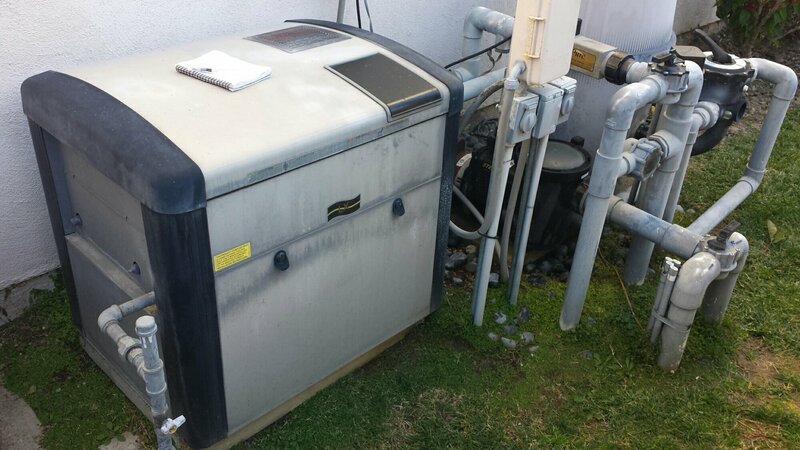 This Huntington Beach swimming pool customer called Miller Pool Service because her 13 year old Laars Lx heater was not working and the Jandy DE filter that was installed with the heater was leaking at the lower bulkhead fitting. Additionally, her Jandy salt water sanitation system did not seem to be producing sanitizer. An initial review of the pool heater revealed that if reliability was an important factor, it should probably be replaced. The salt sanitation system diagnostics indicated that the cell was at the end of its life. The customer opted to replace both of these components, along with the pool filter. We installed a new Hayward H400 heater, Hayward Progrid DE6020 filter with a Sp740de multiport valve and Jandy PL1400 salt cell. 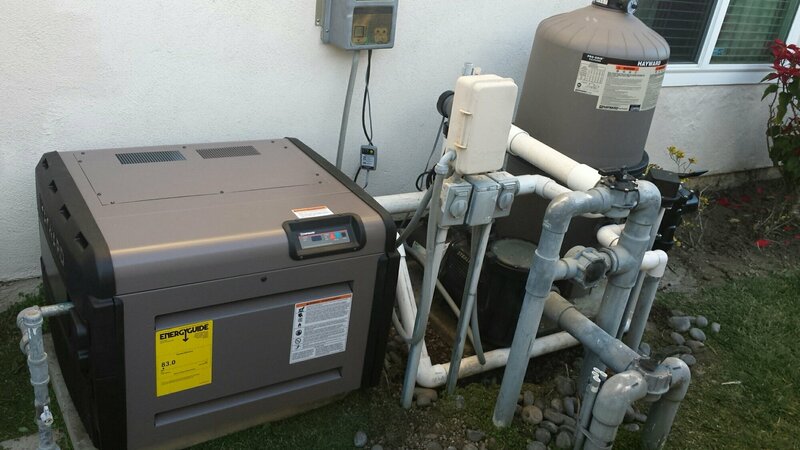 This entry was posted in Filter, Hayward, Heater, News, Service and Repair on February 25, 2016 by Miller Pool Service.